Samuel L Jackson has said he would like to make a romantic comedy after a long career of action films. The Pulp Fiction star, 68, who has had a long and fruitful collaboration with director Quentin Tarantino, has rarely kissed a co-star on screen and said he might like to change that. 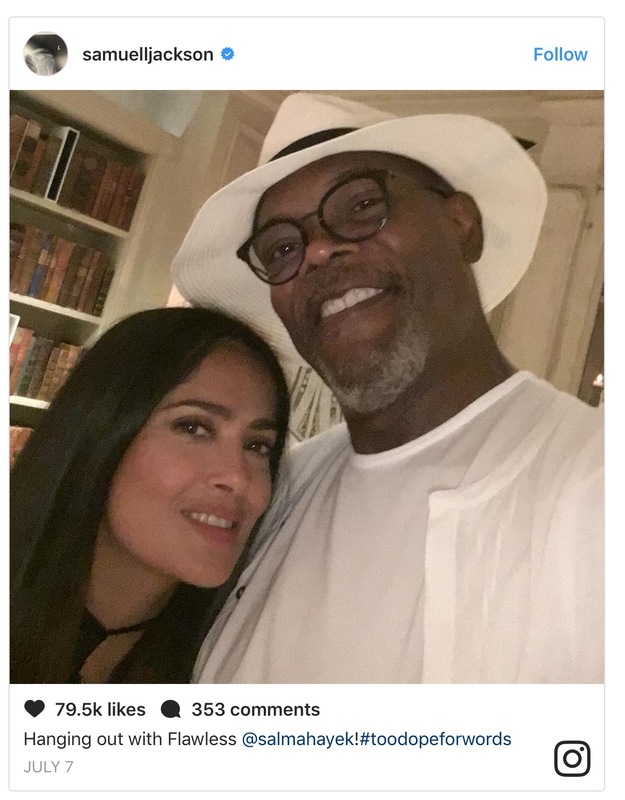 His new film, The Hitman’s Bodyguard, sees him team up with Salma Hayek to play a passionate couple and Jackson said it gave him a rare opportunity to show his romantic side. He told the Press Association: “We had that conversation earlier today, when I told her (Hayek) she is one of maybe five women I have kissed in my cinematic history. Hayek, 50, added: “I feel bad, because he’s such a good kisser. I feel bad for the rest of the actresses that have been missing out. “I feel bad but I feel honoured at the same time. “In contrast I have kissed almost every actor I have ever worked with and I’ve done I don’t know how many movies. “Lately less, I’m sure I will be retiring from the kissing very soon, but I’m always the girl that gets kissed in the movies and I’ve got to tell you that Sam is up there as one of the best ones.” Their on-screen romance has prompted Jackson to contemplate a new era in his working life, which started in 1972 with a role in the film Together For Days. He said: “I’m going to start a whole new section of my career.